The BCN technology enabled the manufacturing and development of professional 3D printers adapted to each consumer needs. BCN is aware that each industry has different needs that printers have to fit with. BCN3D is a range of versatile printers that have features for each need of those industries. The BCN3D Sigma R19 is a reliable and easy-to-use desktop machine with advanced new features that let it work harder for all users. With an Independent Dual Extruder System that delivers high-resolution multi-material parts in a simple and effective way, this is a highly professional workhorse machine. Available for order. Delivery within 1 week. The Sigmax enclosure enables a constant temperature inside the printer and protect your working environment from harmful materials particles. This cover comes disassembled with a manual about how to assemble it. Print safety with this Sigmax enclosure. Upgrade your Sigma R19 with an easy to install enclosure! It enables a constant temperature inside the printer and protects your working environment from harmful materials particles. 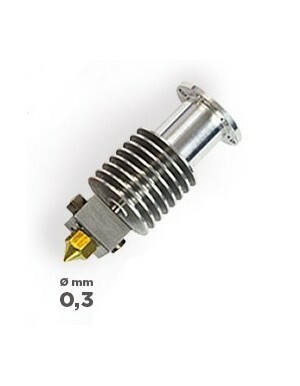 0.3mm Hotend for BCN Sigma R17. In stock. Dispatch within 1 week. 0.4mm Hotend for BCN Sigma R17. 0.5mm High Performance Hot End for the BCN3D Sigma. Features a hardened stainless steel nozzle for imrpoved abrasion resistance. .6mm Hotend for BCN Sigma R17. 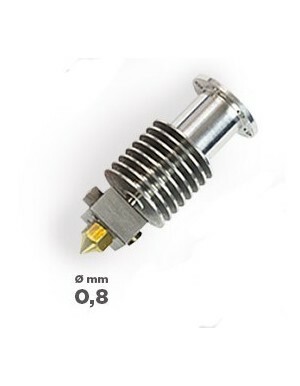 0.8mm Hotend for BCN Sigma R17. 1mm Hotend for BCN Sigma R17. Hotend family for BCN Sigma R17. 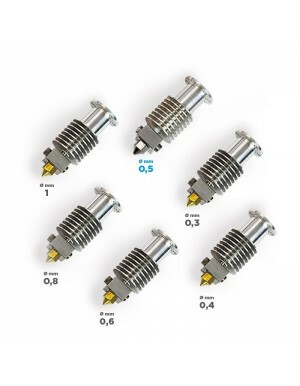 Includes 0.3mm, 0.4mm, 0.5mm with stainless nozzle, 0.6mm, 0.8mm and 1mm hotends that can be easily changed. 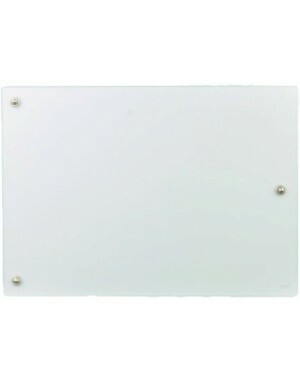 Replacement glass plate for the BCN Sigma R17 3D Printer.